A boy stood in the playground under the big fig tree. 'He can't speak English,' the children whispered. The air raid siren wails throughout Sydney harbour while American Warships dapple across the horizon. The war has reached the Australian shoreline with the Japanese military threatening a hostile destruction of the land. For Columba this is simply how we survive, we live in each moment. While the city of Paris falls to the Germanic forces, European refugees are migrating to Australia, fractured and displaced by conflict. Ellery is a Jewish boy, withdrawn and unable to verbally communicate. Children are remarkably resilient and Columba was a wonderfully compassionate young girl and curiously, approaches Ellery. I had never heard Ellery laugh before, not out loud. I loved the sound, it filled me up. It tinkled like a magic bird. Ellery and Columba engage in apprehensive smiles and amiable silences, a tentative companionship leading to adventure. Columba is influenced by friend Hilda, a young girl fond of telling tales and repeating rumours. I found Hilda's character quite manipulate and relentless, insisting Ellery has migrated from Germany where his mother had perished, a casualty of war. The narrative being told through the narration of a young girl although charming, is unreliable. At the essence of the narration is a stray Blue Cat, suspected to have escaped from the Warships dappled throughout the harbour. The role of the feline is of little significance, temporarily residing at an elderly neighbours residence when it disappears into the night. Is the Blue Cat mere symbolism for a greater relevance? Bringing communities together? The infusion of magical realism felt incoherent and as though an integral aspect of the storyline was absent, creating an incredibly abrupt ending. 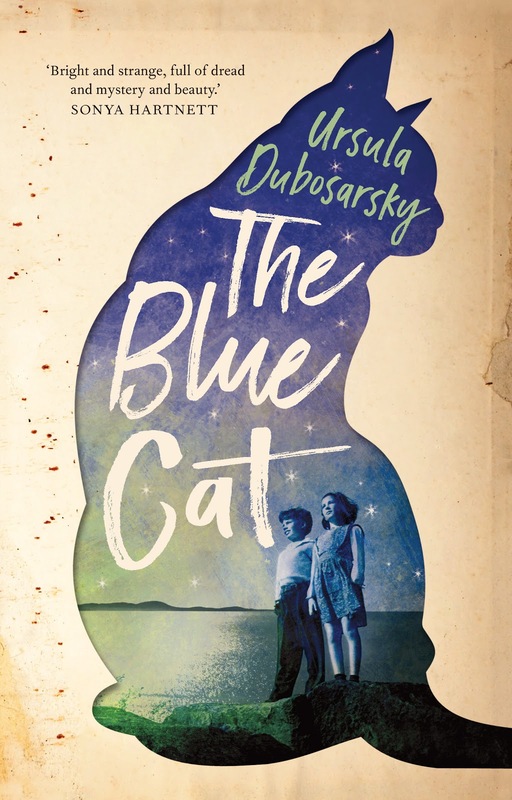 The Blue Cat is beautifully written, lyrical and delicate, within the nineteen forties atmospheric Sydney harbour. Although the narrative required direction, author Ursula Dubosarsky has created a wonderfully Australian ambiance, breathing life into our historical city landscapes. Oh my, this sounds lime an emotional intense read, but still quiet and not BIG -- I don't know how else to explain myself lol Beautiful cover too. The cover is lovely and so wonderfully atmospheric Verushka. I didn't understand the significance of the blue cat though sadly, I'm not certain the intended age group will either. if blue means freedom, could it mean freedom from something? I hadn't thought of that Ailyn and didn't see the significance. Still a wonderful read nonetheless. Incredibly vivid. It's a lovely read Haniya, very lyrical and atmospheric. I'd love to see what you think of it. 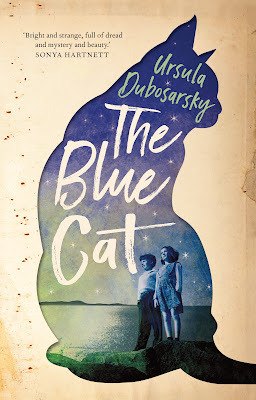 It sounds like the children of Sydney 1942 worked brilliantly but the mysterious blue cat needed more explaining. It did Sarah. I think the deeper significance may not register with children, I didn't understand it myself. But well worth the read for the writing and beautifully lyrical world building of a vintage Sydney. Me too. I hadn't expected such a heavy subject matter and while it did have those little issues, the writing is absolutely beautiful. If I'd seen this in the store, I would have assumed it was about a cat since it's so front & centre. Hmmm (kind of disappointed it isn't to be honest haha). I expected the cat to have had greater significance so I'm wondering if perhaps I'm missing something. This sounds absolutely amazing! I loved the quote that you included. And that cover is gorgeous. I already have this on my GR TBR but this is the first review I've actually read of it. Definitely have to pick this one up. Thanks for the review!